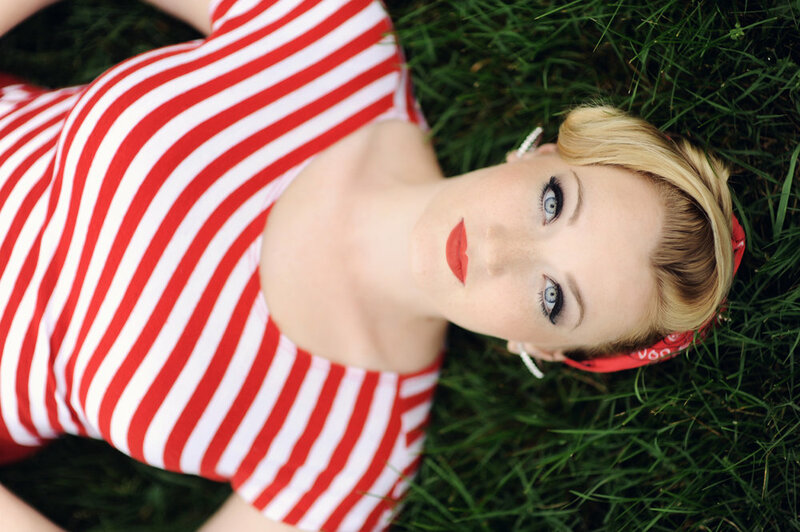 Everyone recognizes the classic pin up: 1940s style, feminine posing, cute expressions, and usually very colorful! Inspired by the drawings of Gil Elvgren and Alberto Vargas, among others, pin up photography is a throwback to a bygone era when photographs and drawings of women were used to motivate US troops during World War II. The La Photographie pin up can be classic - with a solid backdrop and bright lighting - or it can be more modern, in a setting such as a library, a living room, or even a holiday theme. Check out the examples below, and contact La Photographie to set up your own pin up portrait session in Denver, Nashville, or elsewhere (I travel)!